Jason and I were talking last week and he questioned why I wasn't hosting a Super Bowl party this year. It's not that I don't love having my family over for food and game watching, it's the fact that I hate standing in the kitchen all day making a bunch of meat dishes that I can't eat. That probably sounds petty, but what's that new thing about tossing out things that aren't sparking joy going around lately? Stressing myself out over making everyone else happy doesn't spark any joy in me, so this year I tossed out hosting game day gatherings. However, spare ribs have been dirt cheap this week, so to spark a little joy for my husband and daughter, I picked up a slab to make them for dinner this week while I enjoyed some leftover soup. 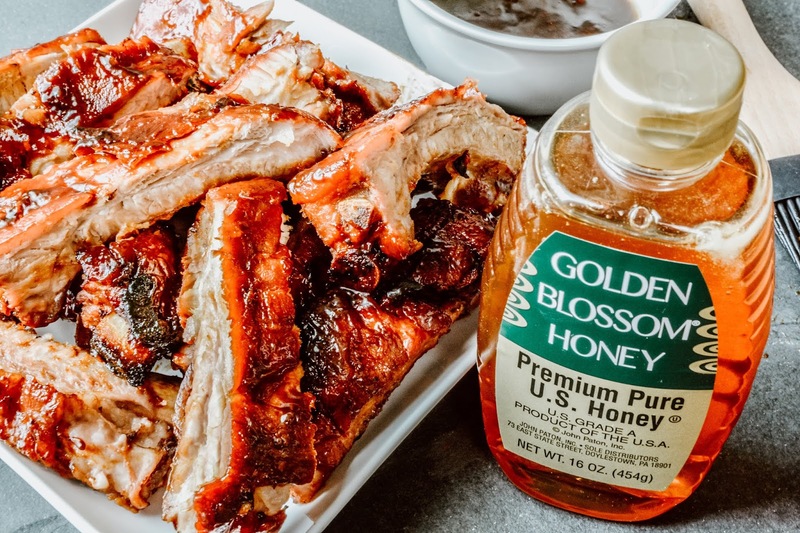 I haven't used my roasting pan since Christmas, so I dusted it off, pulled up this Honey Barbecue Ribs recipe from Golden Blossom Honey, and got to work. Have you jumped onto the Marie Kondo bandwagon and tossed out anything that's not sparking joy in your life yet? Marie has a Netflix show that's really popular right now. I haven't seen it, but she's about de-cluttering your home. She says hold something in your hand and if it doesn't spark joy, get rid of it (or something along those lines). Super Bowl is this Sunday. I haven't decided on if we'll watch or not. Jason might have it on for background noise though. I think this is a horrible year for the performers all around with pressure from the left to follow their narrative. They are there to entertain, not force their political beliefs on the spectators. Those looks delicious. I love that they're made in the oven. They can be a year round meal! I've heard of her, but don't know much. ugh ribs are totally my weakness and i need to give this a go asap! haha she's a bit of a crackpot. Most is common sense and the rest is a little over the top. At least from what I gathered. I'll stick with my ocd and doing what I want. Finding joy 100% of the time ain't gonna happen. Oh look, a bill in my hand. It gives me no joy. Should I chuck it out? Pffft. These ribs are making my mouth water! My husband and I love a good rib recipe; I'm going to share this with him! I like ribs with honey especially if the ribs are so tender that they are easily removed from the bone. I love ribs. Those sound good. I had to look up who Marie Kondo was. I haven't heard of her before. My mouth literally watered as I looked at the rib photos. Unfortunately ribs are off our menus for a while, as both my hubby and I are trimming down. I bought Marie Kondo's book a couple of years ago. Just look at the socks in our drawers, and you'll know I read it ~ LOL! My only problem is so many of my things give me sparks of joy, so I'm not getting rid of much. It's just Terry and me for the Super Bowl tomorrow. We're looking forward to a relaxing time. I hope that you are enjoying the weekend! 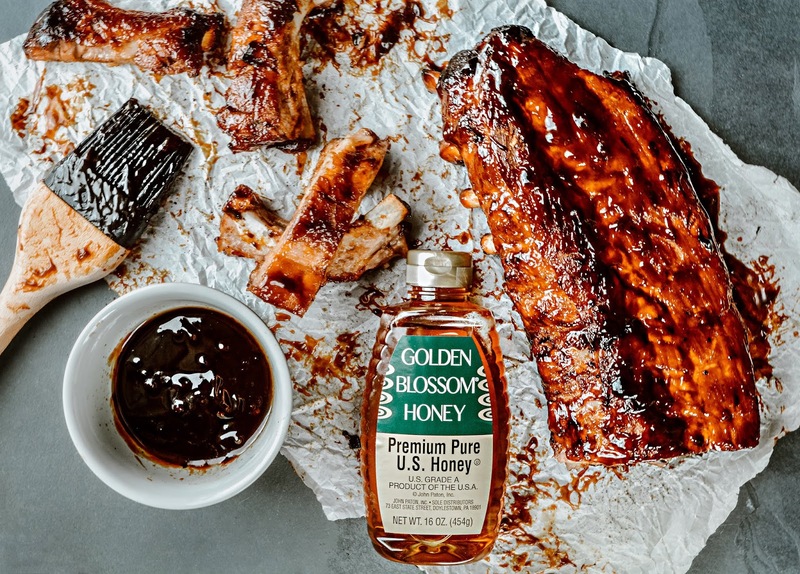 Oven-Roasted Honey Barbecue Ribs looks so good! I'm drooling and craving right now for this dish! It's perfect for family and friends. I wish I can cook this too! Yummy! I honestly wish I had the power to just get those ribs out of my PC screen and eat them! They look that delish! I love your barbeque ribs recipe. I make something similar but I think your recipe is better. I have read some articles about the Marie Kondo way of decluttering but I think it is too extreme for me. It's odd I never really crave BBQ, but when I have it I like it. We're setting a lot of stuff downstairs to have a garage sale in the spring/summer time. I need to deep clean. The Mother in Law is coming sometime this month.